Summer months offer anglers in Vancouver a variety of great fishing options, all our Vancouver fishing trips are happening during time and lots of our fishing is in its prime time! 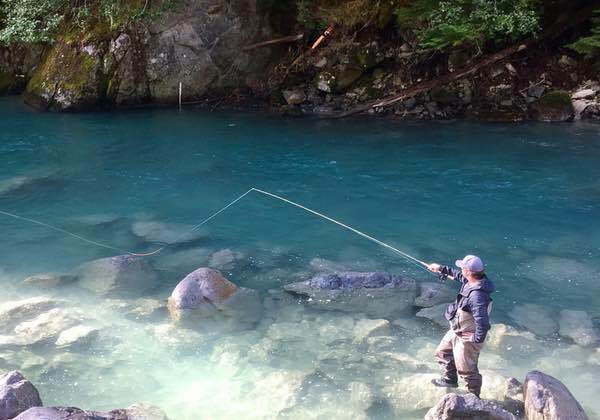 You can choose from a saltwater salmon fishing charter leaving right from downtown or a freshwater fly fishing trip for pink salmon on wild coastal rivers. 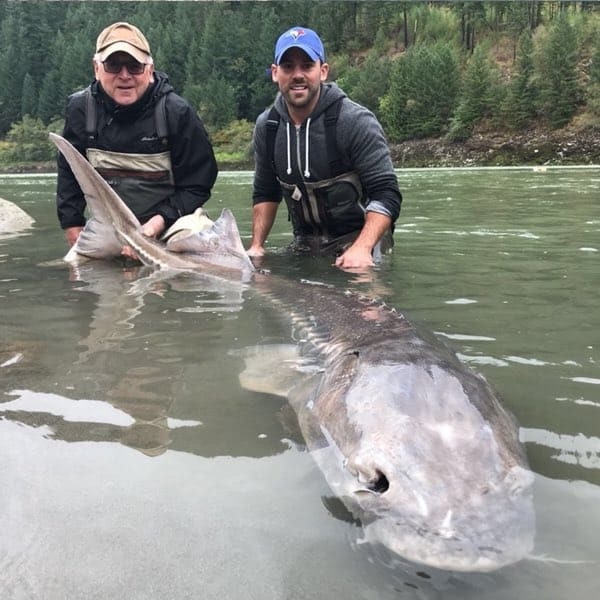 There’s also excellent sturgeon fishing on the Fraser River about 90 minutes east of Vancouver all summer long and some great options in Whistler as well. 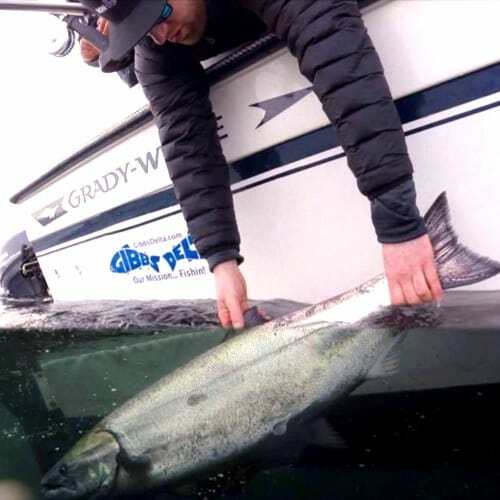 Summer fishing in Vancouver is busy and we book up early, so have a look here at our detailed Vancouver fishing report of the June, July & August and see what would suit your timing the best. For more info on Summer fishing trips in Vancouver use our contact page and we’ll get back to you right away. Fall is one of our favourite times to fish in and around Vancouver. 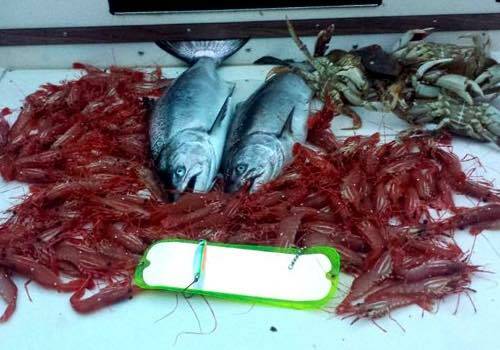 The months of September and October is actually when we see our best fishing in Vancouver, on all trips! 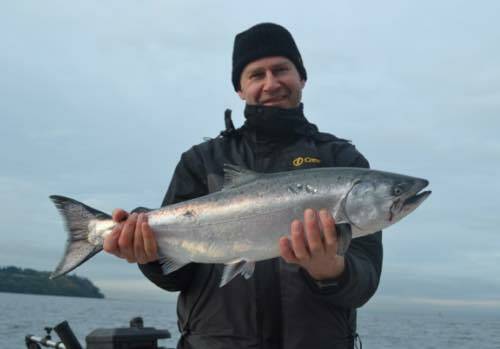 September is a great month for a saltwater salmon fishing charter in Vancouver, with larger chinook salmon within a 15-20 minute run of our boat moorage! 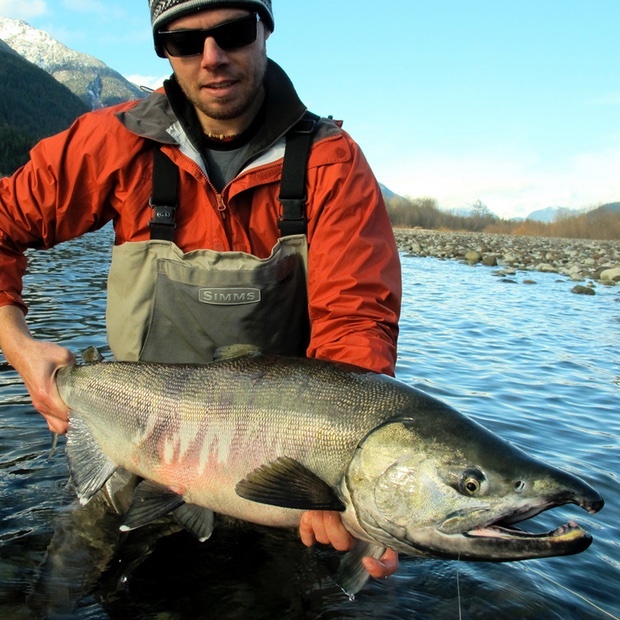 Our fly fishing trips usually see very good fishing for migrating salmon, this includes pink, chum and coho salmon on local rivers. 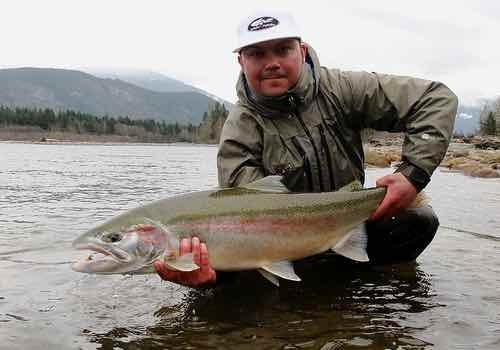 You’ll find the best river fishing from mid October to later November, if you want to plan a freshwater salmon fishing trip, that is prime time. 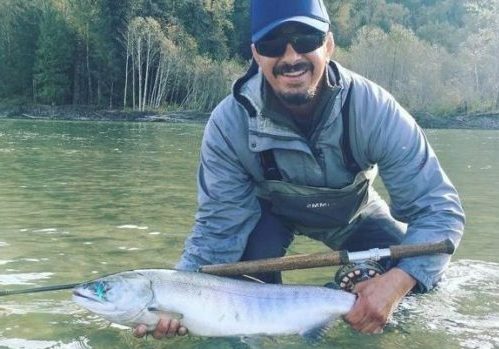 Sturgeon fishing in September and October is always consistent with some of the biggest fish of the year coming during this time. 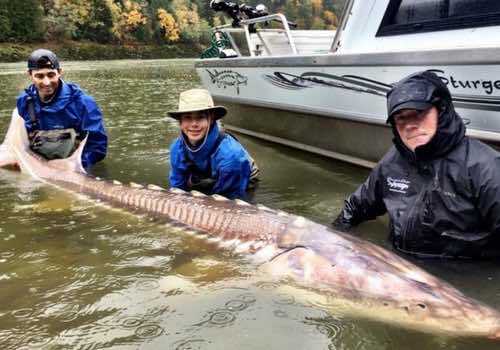 You can book a Vancouver sturgeon fishing trip with confidence during these month, with very consistent fishing for big fish and multiple hook ups per day. For more information on our Vancouver fishing trips during the Fall, here’s a break down of the options for Vancouver fishing in September, October & November. 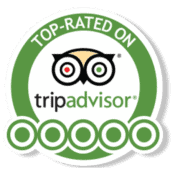 To book a trip or to get some more info, please contact us or call toll free 1-877-902-3393. 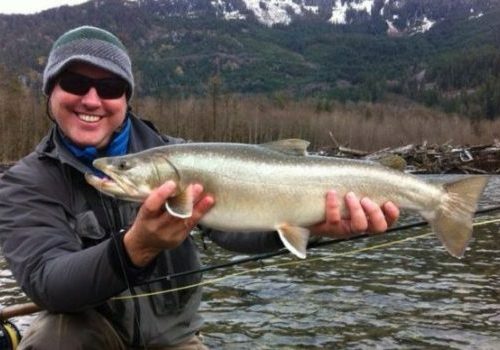 Generally Winter isn’t a time many people think of going fishing in Vancouver but there definitely are some options in terms of freshwater and saltwater fishing options. 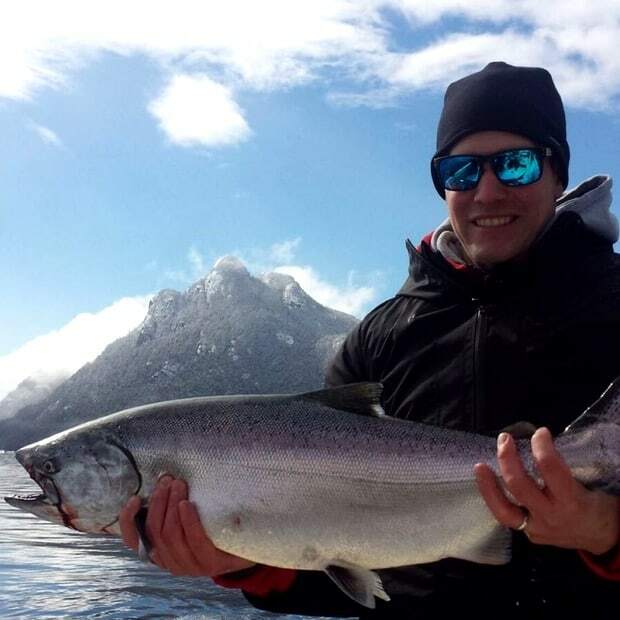 Our Vancouver salmon charters do see fishing throughout the Winter months, mind you conditions can be cold and fish on the smaller side. Most of our winter salmon fishing charters will include either dropping crab or prawn traps on your day out! 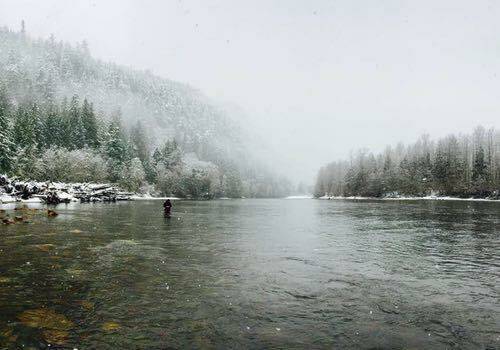 Fly fishing trips are still happening through the Winter months, mainly targeting bull and rainbow trout that are busy feeding on the remnants of the Fall salmon runs. 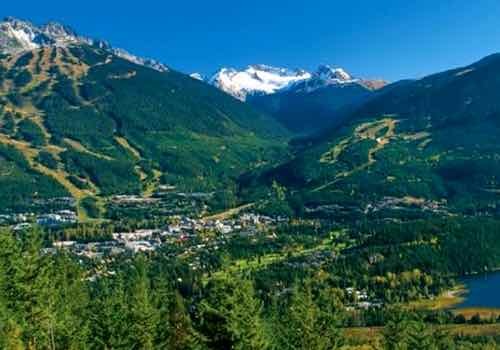 These trips take place on the Squamish River system and include transportation from Vancouver. If you don’t mind braving the cooler temperatures we do offer a Winter Fly Fishing Special each year! If you’re skiing in Whistler, our Whistler guide team can get you hooked up with some Winter fly fishing on local rivers! For more information on Winter fishing in Vancouver, have a look at our report for December and January options. 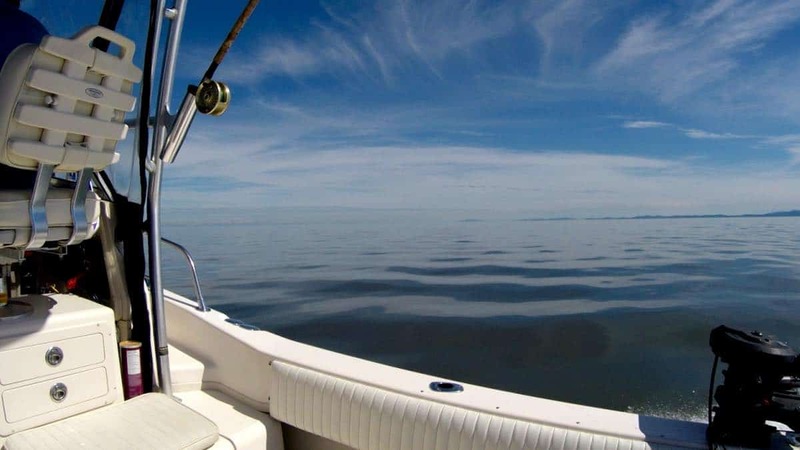 Life is good on the water in the Spring months with some really cool fishing options, all close to Vancouver. 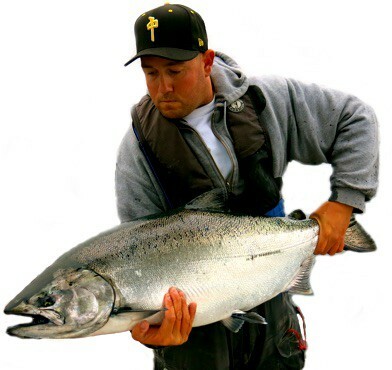 Saltwater salmon fishing is focused on the Gulf Islands and Howe Sound, with fishing for chinook (king) salmon becoming more and more consistent as we move from February into April and May. Fly fishing on local rivers hits it stride as rivers start to rise and we can swing flies for wild steelhead and native trout. Definitely worthwhile getting out for a Spring fly fishing trip with us if you’re in Vancouver, and we include transportation from the city! 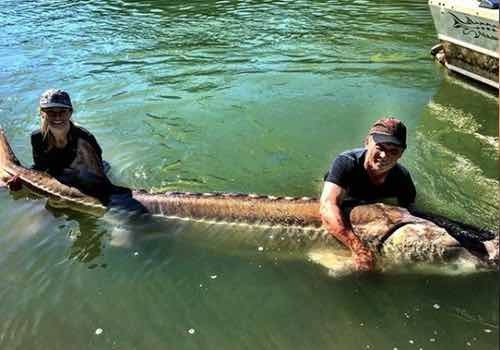 Sturgeon fishing also ramps up after taking the Winter season off. March, April and May are always lots of fun on the Fraser River, as sturgeon begin to get moving and start their Spring feed. 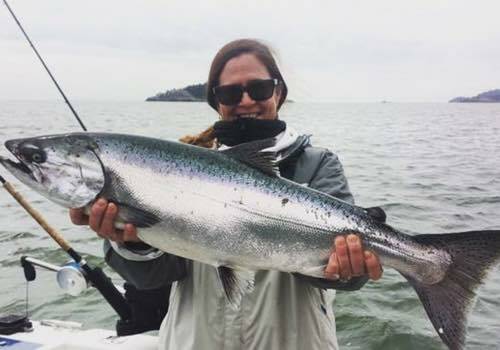 We’ve broken down all the best fishing in Vancouver month by month on our Spring Vancouver fishing report page right here. To book a trip or for more info, use our contact us page or call toll-free 1-877-902-3393. 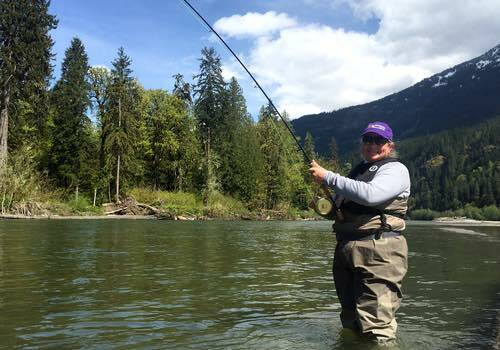 Getting started planning a fishing trip in Vancouver BC is easy, simply fill out our online contact form or call our office toll-free 1-877-902-3393. We’ll get back to you right away with seasonal availability and specific pricing. We look forward to earning your business, thank you. Leave as many details and questions as you'd like, it'll help get better info off to you.